I am 10 years old and like to scare people. I know clowns are very scary so i wanted to be pennywise. 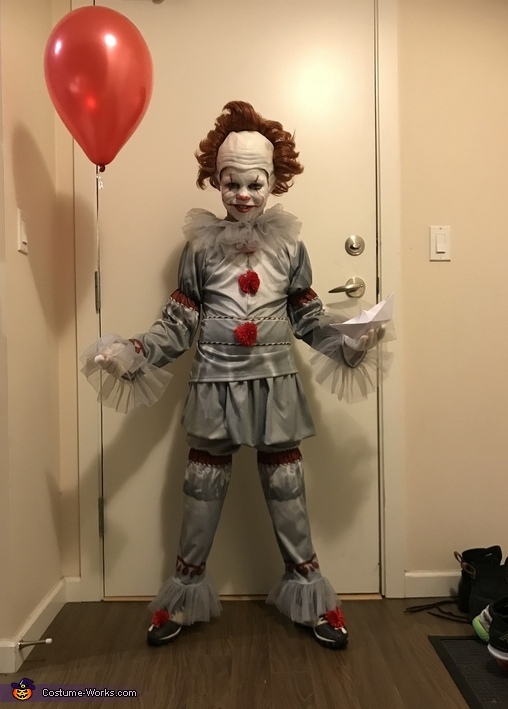 I could not find any costumes in my size because they dont make pennywise costumes for kids. So my mom bought 2 adult size costume shirts and cut it up and sewed it to make this costume. I did my own makeup by looking at the picture of pennywise online. We found the wig at a costume store. I practiced once. The costume came with a mask but i am not using it.